pardon the creases on my martin margiela aids t-shirt. i just fished it out of the closet and will be wearing the t-shirt today. ever since i started the blog two years ago, i've been writing about world aids day every 1st december. the message this year is about raising awareness to tackle prejudice. there is still a lot of stigma, ignorance and fear, but hopefully changing attitudes and improving education at all ages and levels of our society may make that difference. we need more awareness, HIV is here and not going away. all the more important that there is continued funding into research for a cure/vaccine. maison martin margiela has produced the above aids t-shirt since 1994, with a percentage of the sales given to the association "AIDES", a research facility in france. 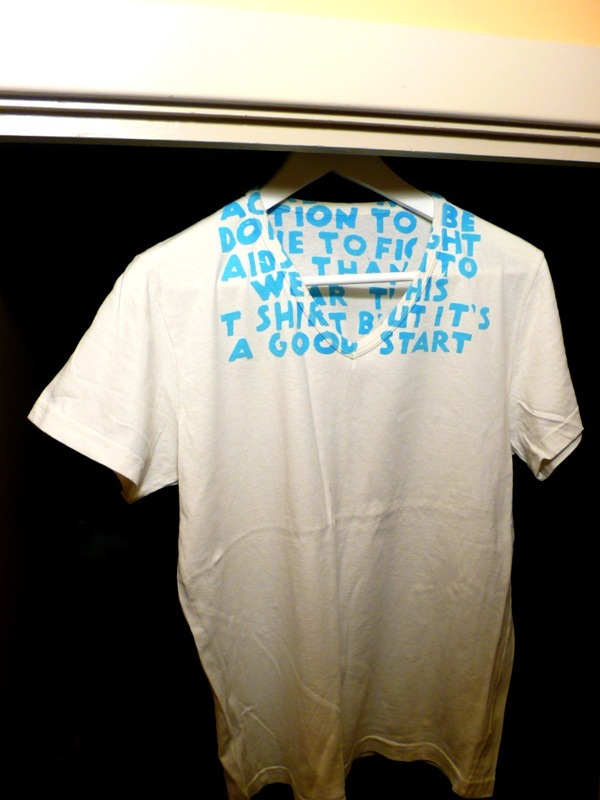 different colorways are introduced each year, all with the same text printed: "there is more action to be done to fight aids than to wear this t-shirt but it's a good start." 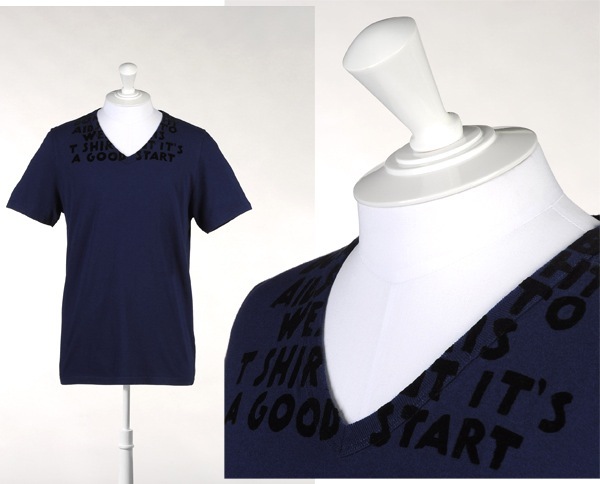 it doesn't take much to devote an item from the collections to a charity, they even priced the t-shirt substantially lower than their normal t-shirts. the action speaks volumes. love maison martin margiela's initiative, which i've supported for several years. here's hoping more fashion houses will follow suit. fall winter 2010's maison martin margiela aids t-shirt is available online here.